Even the best can always be better, and that’s the approach engineers at Alpenföhn took when it came to revising and updating the Brocken ECO from the ground up. The result: more efficiency and even easier installation. As a result, the Alpenföhn Brocken ECO Advanced offers an impressive TDP of 170 Watts and is ideally suited for overclockers. The ultra-quiet 120- WingBoost 3 fan also contributes to the high-performance cooling. Just like with its predecessor, the Alpenföhn Brocken ECO Advanced offers excellent price-to-performance. The compact dimensions of the Brocken ECO Advanced are not a result of cost-cutting, but rather as an update to help users who have less room to spare in their cases for a traditional tower-style cooler. 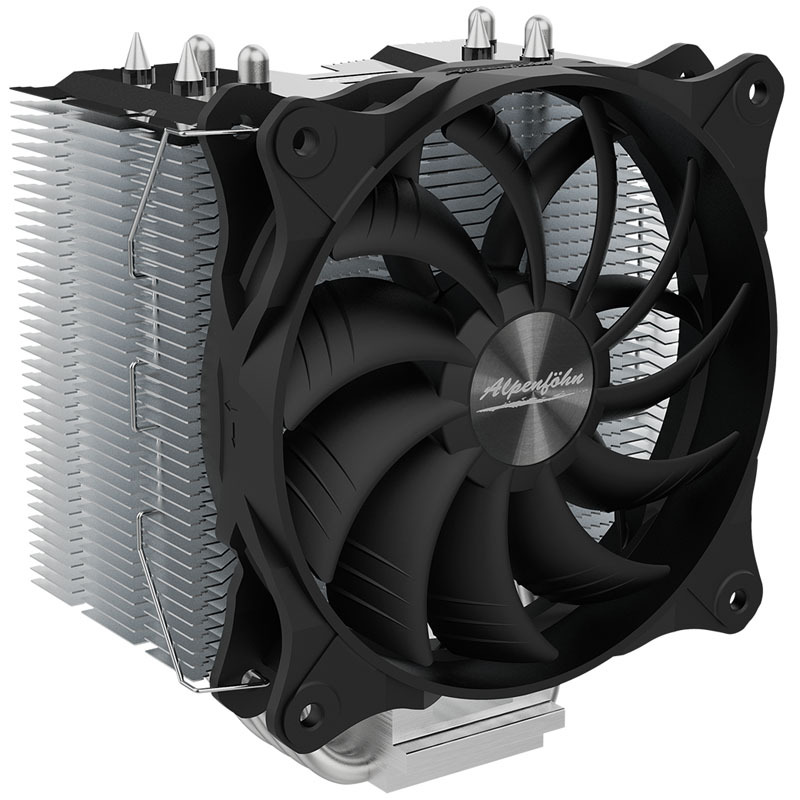 The fan adds greatly to this, with its 120mm format helping the ECO Advanced (including the fan itself) protrude less into the case, with the total height being just 14,9 cm as a result. A total of four copper heat pipes make contact between the baseplate and the cooler with its aluminium fans. The 6mm heat pipes are embedded directly into the baseplate thanks to the "Gapless H.D.T." manufacturing process, thereby maximising the total surface contact area. In this asymmetrical design, the four heat pipes and the heat sink are designed to not be centred directly over the baseplate, but instead slightly offset to the rear, the result of this is that almost all motherboards on the market will not have a single RAM slot blocked by the cooler, up to and including even the first PCI-Express slot as well. 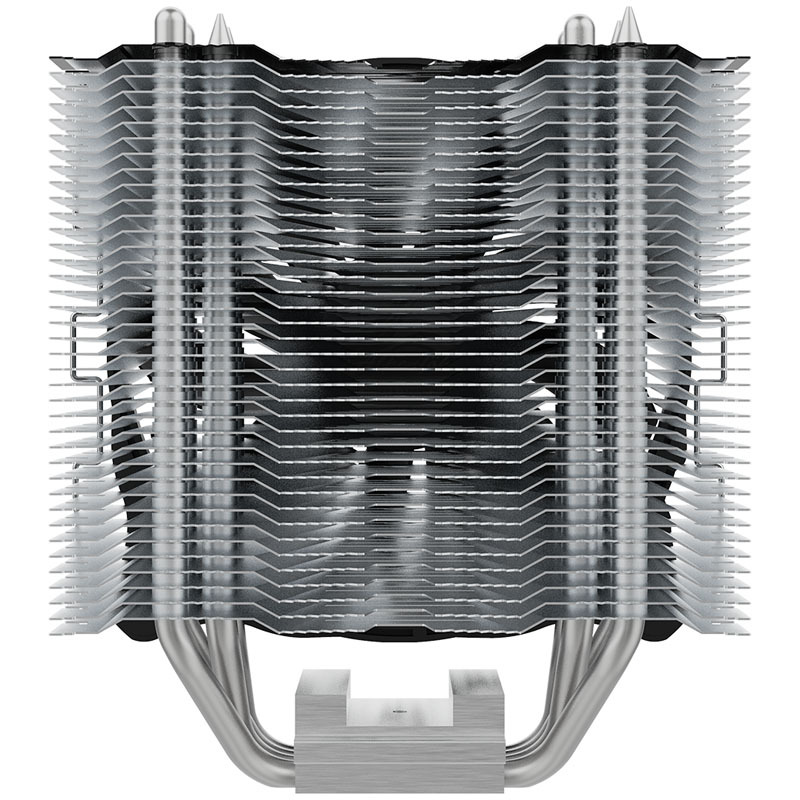 This is even the case when the fan is mounted to the front and pulling in air. When it comes to the fan, Alpenföhn has opted for a cutting-edge representative from its WingBoost 3 Series, which due to its fan blades new angle of attack, offers a significantly increase in airflow and pressure even at the same RPM. The static pressure is significantly increased by a fixed integrated guide wheel in the fan frame, and this also contributes to a reduction in the turbulence in the air flowing away from it. The result is a further optimisation of the radial airflow and a reduction in noise due to the reduction in air turbulence. The Alpenföhn Brocken ECO is compatible with all current motherboard sockets from AMD (AM2/AM2+, AM3/AM3+, AM4, FM1/FM2/FM2+) and Intel (775, 1150/1151/1155/1156, 1366, 2011, 2011-V3, 2066) and thanks to the "RockMount 2"-system is easy to install. The Alpenföhn Brocken ECO Advanced cooler is designed for everyone that needs high-performance combined with quiet operation in a small space.